1961 HBS-B Diplom, Rijks HBS in IJmuiden. 1967 Master Degree in Mathematics and Statistics, University of Amsterdam. 1972 PhD Degree in Operations Research, University of Amsterdam. 1967-1976 Senior Researcher at the Center for Mathematics and Computer Science, Amsterdam. 1976-2009 Full professor in Operations Research, Vrije University, Amsterdam. 1976-1983 Advisor at the Center for Mathematics and Computer Science, Amsterdam. 1988-2000 Advisor at the Shell Reseach Laboratorium, Amsterdam. 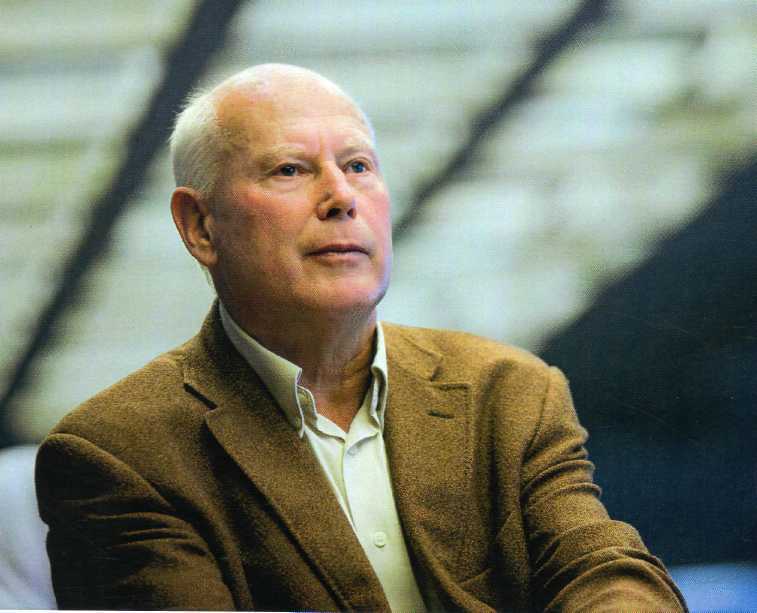 1988-2001 Dutch Member of The International Advisory Board of the Teletraffic Congresses. Organiser of an International Conference on Markov Decision Theory, Amsterdam, September 13-17, 1976. Organiser of an International Seminar on Teletraffic Analysis and Computer Performance Evaluation, Amsterdam, June 2-6, 1986. Organiser of the Second International DGOR/NSOR Congress, Amsterdam, August 25-27, 1993. Organiser of the 9th ITC Specialists Seminar on Teletraffic Modelling and Measurement in Broadband and Mobile Communications, Leidschendam, November 7-9, 1995. Organiser of the Third International Workshop on Retrial Queues, Amsterdam, March, 13 - 15 , 2000. Editor of the Journal Probability in the Engineering and Informational Sciences, 1987 -present. Supervisor of 17 PhD theses at the Vrije University. Winner of the 2008 INFORMS Expository Writing Award of American Society of Operations Research and Management Science. Honorary Fellow of the Tinbergen Research Institute. Optimal Control of a Queueing System with Heterogeneous Servers and Setup Costs (with R.D. Nobel), IEEE Transactions on Automatic Control, 45, 780 - 784, 2000. A Fast Algorithm for the Transient Reward Distribution in Continuous-Time Markov Chains (with R. Veldman), Operations Research Letters, 26, 155-158, 2000. Markov Processes on a Semi-infinite Strip and the Geometric Tail Algorithm (with D.J. van Vuuren), book series Annals of Operations Research 113 (ed. J. Artalejo), 133-140, 2002. A real-world stochastic two-person game (with J. van der Wal), Probability in the Engineering and Informational Sciences, 20, 599-608, 2006. Waiting-time probabilities in the M/G/1 retrial queue (with R. D. Nobel), Statistica Neerlandica, 60, 73-79, 2006. Negative probabilities at work in the M/D/1 queue (with Koen Staats), Probability in the Engineering and Informational Sciences, 21, 1-7, 2007. Dice games and stochastic dynamic programming, Morfismos (Mexican student journal), 11, 1-14, 2007. Bayesiaanse kansrekening (in Dutch), Euclides 4, 154-156, 2008. Stochastic games and dynamic programming, Asia Pacific Mathematics Newsletter, Vol. 2, No.3, 6-10, 2012, see pdf file. Devil's penny puzzle, New York Times, March 3, 2014. Dropping balls into bins, New York Times, February 9, 2015. Boys and girls in new clothes , New York Times, May 11, 2015. The gift exchange , New York Times, December 28, 2015. This software package contains two modules. The first module is for the transient and steady-analysis of discrete-time and continuous-time Markov chains up to 100 states. The other module calculates performance measures including queue-length probabilities and waiting-time probabilities for basic queueing models (M/G/1 queue, M/M/c queue, M/D/c queue, G/M/c queue, M/M/c/c+N queue, the transient M/M/1 queue). The algorithms in this software package are based on methods discussed in the book H.C. Tijms, A First Course in Stochastic Models, Wiley, 2003. Download here the zip-file. This software package is a polished and extended English version of software that was originally developed to promote probability and operations research in the senior forms of Dutch high schools (and early college). The software package contains modules for coin-tossing, roulette, Buffon's needle problem, central limit theorem, simulation of queues, traveling salesman problem, dynamic programming, linear programming, and integer programming amongst others. For non-commercial use, the full version of the software package ORSTAT2000 can be downloaded free of charge: Download here the zip-file. There is no book I have written with more enthusiasm and dedication than this introductory textbook on probability. The students are the focal point, and much effort has been taken to make the book truly readable for them. Inessential technicalities are avoided wherever possible. There are some 750 problems and 150 examples, all carefully selected for being both appealing and illuminating. Perhaps the most important difference from other introductory probability books is the section of detailed solutions to all odd numbered problems, with the goal of actively engaging the student in the learning process. A solutions manual with solutions to all problems is available to qualified university instructors who have adopted the book as a required text for their course. When sending a request for the solutions manual, please provide a syllabus and/or webpage for the course. Tables for Multi-Server Queues ( with Luuk Seelen and Michiel van Hoorn), North-Holland, Amsterdam, 1985. Stochastic Modelling and Analysis, A Computational Approach, Wiley, New York, 1986. Exploring Operations Research and Statistics in the Microlab (with Erwin Kalvelagen), Prentice-Hall, New Jersey, 1990. Modelbouw in de Operations Research ( with Erwin Kalvelagen), Academic Service, Schoonhoven, 1994. Stochastic Models, Wiley, New York, 1994. Spelen met Kansen, Epsilon, Utrecht, 1999, geheel herziene tweede druk, 2002. Poisson, de Pruisen en de Lotto (with F. Heierman en R.D. Nobel), Epsilon, Utrecht,2000. Operationele Analyse, Epsilon, Utrecht, 2002, tweede druk 2004, derde druk 2010, vierde druk 2014. A First Course in Stochastic Models, Wiley, 2003. Understanding Probability, Cambridge University Press, first edition 2004, second edition 2007, third edition 2012. Deze wiskunde-D module is een avontuurlijke reis langs niet-aangeharkte paden door het gebied van de optimalisering in netwerken en richt zich op leerlingen in 5 en 6 VWO. De module bevat uitdagende stof voor zowel leerling als leraar en laat zien welke boeiende toepassingen de wiskunde in de praktijk heeft. Vele praktische problemen in uiteenlopende gebieden kunnen worden geformuleerd als een optimaliseringsprobleem op een netwerk: kortste-pad probleem, handelsreizigersprobleem, routeringsproblemen, etc. Om de pdf file van deze module te downloaden klik hier. Dit boekje over kansrekening in het leven van alledag is ontstaan uit een serie populair-wetenschappelijke columns die ik geschreven heb voor het huisorgaan van de Nederlandse Vereniging voor Statistiek en Operationele Research. Het boekje bestaat uit 16 korte hoofdstukken die onafhankelijk van elkaar gelezen kunnen worden. De onderwerpen die in de diverse hoofdstukken aan de orde komen zijn boeiende en leerzame toepassingen van de kansrekening uit het leven van alledag. Het materiaal kan als lesstof gebruikt worden, maar leent zich ook voor werkstukken waarin de stof verder wordt uitgediept. De inhoudsopgave alsmede de tekst van het eerste hoofdstuk zijn bevat in de file KansrekeningAlledag. Het boekje is verschenen bij de wiskunde uitgeverij Epsilon in Amsterdam en de prijs van het boekje is 12 euro. 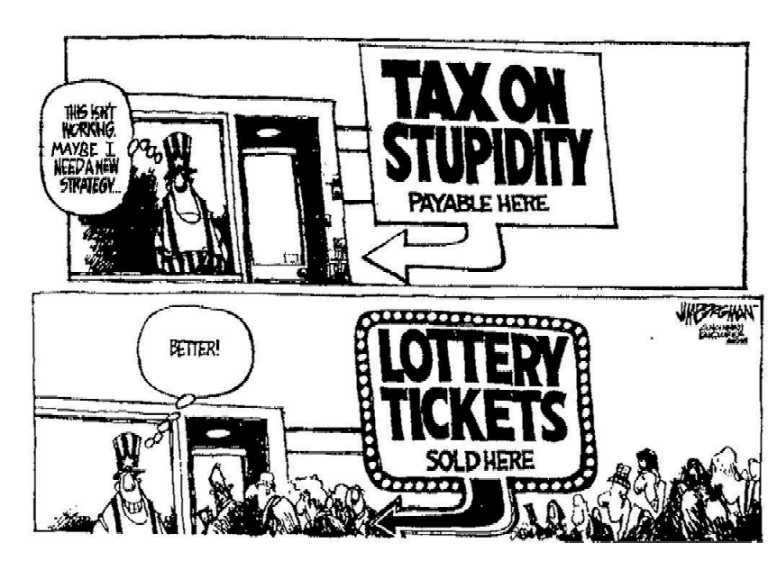 Click here for a cartoon on the Lotto.